Get a women’s long raincoat. 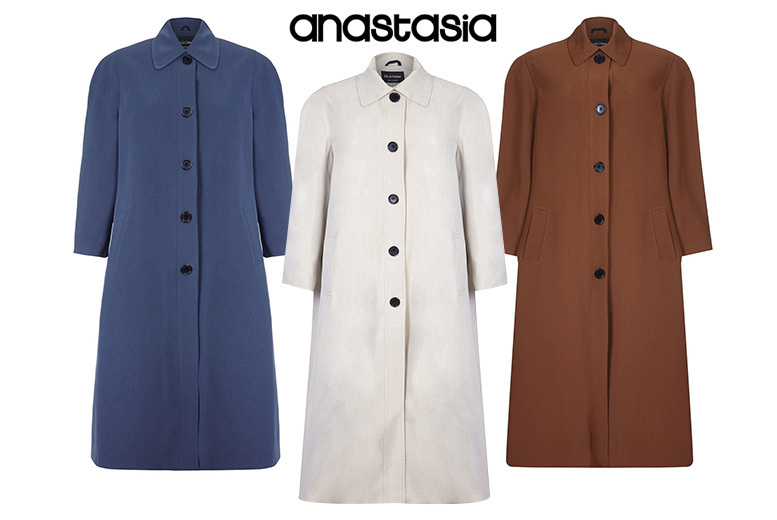 Choose from stylish three colours- beige, brown and blue. And from UK sizes 14-24. With a button-down front, collar and two pockets. In a flattering A-line shape- perfect for the autumn weather!